At the request of the European Court of Human Rights (ECHR), Ukraine is sending to Krasnodar a group of doctors to check on the health condition of an illegally detained 19-year-old Pavol Hryb, despite Russia not having issued a relevant permission, that’s according to a comment to UNIAN by director of the consular service department of the Ministry of Foreign Affairs of Ukraine Serhiy Pohoreltsev. According to the diplomat, given Hryb’s unsatisfactory condition and the need for medical treatment, taking into account his father’s request, the Consulate General of Ukraine in Rostov-on-Don appealed to the Russian side three times with a petition for permission to examine the teenager by doctors from Ukraine. Read alsoUkrainian teenager's condition in Russian prison deteriorates without medicines"The Ministry of Health (Ukraine), at our request, provided information about doctors who can go to Russia and conduct an appropriate examination. In close contact with the Ministry of Health, the doctors were selected and it is expected that in the near future these doctors will be able to go there,” said Pohoreltsev. "It’s still a question whether they are able to get to Hryb, since, in fact, in connection with the ECHR letter to the lawyer, there is a request to provide the conclusions of the Ukrainian doctors to the said court about Pavlo Hryb’s health condition, so the Consulate sent to the Russian side yet another set of appeals. This is a single note (three letters) to the competent authorities demanding, in view of the ECHR's position, to provide access for the Ukrainian doctors in the period from October 12 to October 15," the diplomat said. He specified that, according to an ECHR letter, it is necessary to provide conclusions about the state of health of the 19-year-old Ukrainian until October 16. "Now, while waiting for the permission of the Russian side, we are already forming a pool of these doctors, and these doctors will go there soon. Even without permission, the doctors will go and seek to get to Hryb, with the consuls’ help," said Pohoreltsev. Read alsoFSB-abducted Ukrainian teenager arrested by Krasnodar court so far has no access to required medication – lawyer"We hope that the Russian side will fulfill the relevant decision of the European Court of Human Rights and finally grant permission to our specialists to visit Hryb. We hope that tomorrow our doctors will be able to leave assisted by the Foreign Ministry, and then the Consulate General will render them maximum assistance," the diplomat said. According to Pohoreltsev, with the assistance of the Foreign Ministry doctors will be taken to the Russian-Ukrainian border, where they will be met by Ukrainian diplomats from the Consulate General in Rostov-on-Don, and taken to Krasnodar. "We will do our best to see the result to make sure that the doctors visit him, examine his state of health, give their recommendations and, of course, prepare an appropriate conclusion for the ECHR," Pohoreltsev said. 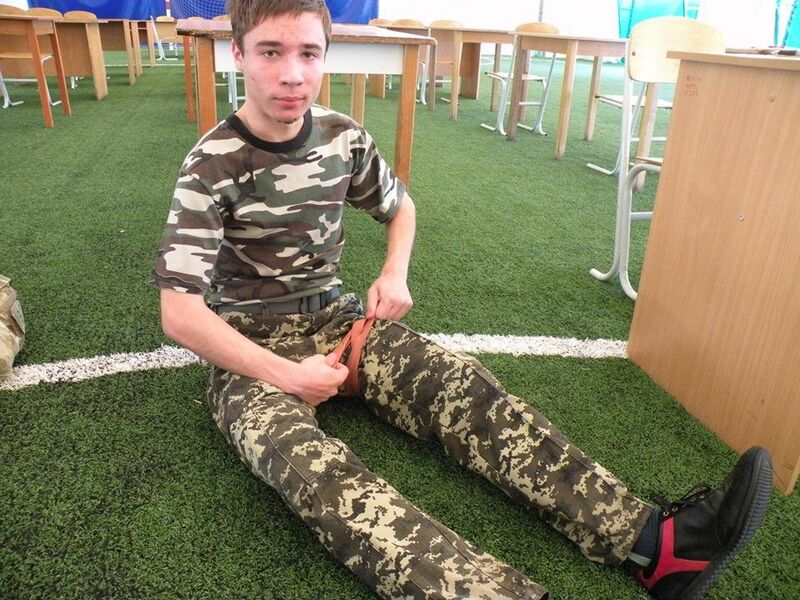 As UNIAN reported earlier, a member of the State Border Guard Service's public council, Ihor Hryb, said on August 28 his 19-year-old son, Pavlo Hryb, was missing. Read alsoUkraine MFA: Russia's FSB officially admits abduction of 19-year-old Ukrainian in BelarusPavlo reportedly disappeared in Belarus on August 24 after he had traveled to the city of Gomel for a meeting with a Russian girl whom he met on social networks and who had allegedly also flown to Gomel. The youngster’s father said Pavlo was supposed to return on the same day. When it did not happen, the father went to Gomel in search for his son. He found out that Pavlo was wanted by the FSB in Krasnodar Krai (Sochi) under Article 205 of the Criminal Code of the Russian Federation (an act of terrorism). It became known on September 7 that Pavlo was being kept in pre-trial detention center No. 5 in the Russian city of Krasnodar. On September 13 the court in Krasnodar ruled to arrest Pavlo Hryb until October 17. On September 15, the Foreign Ministry reported that Hryb was transferred from the detention facility to a medical center. On September 16, he was returned to the detention facility. Read alsoFSB document: Missing Ukrainian teen faces terrorism-related charges in Russia – mediaOn October 6, lawyer Yevgenia Zakrevskaya stated that the ECHR invited Ukrainian doctors to assess Pavlo’s health condition and to find out whether he receives the treatment required. "I hope that the Ukrainian Foreign Ministry, the Ministry of Health and the Ombudsperson will do everything to ensure that our doctors get to Pavlo Hryb as soon as possible, while Russia will not dare violate the direct instruction by the ECHR and refuse their access to Pavlo," the lawyer said. The case of Pavlo Hryb is being personally supervised by Minister of Foreign Affairs of Ukraine Pavlo Klimkin.